The Nokia N8 makes a great book reader thanks to its excellent screen and easy pocket-ability. Just as the best camera is the one you have with you, the best eBook is the one you have in your pocket. Dedicated book readers like the Kindle are OK, but unlike a phone, too big to carry everywhere. 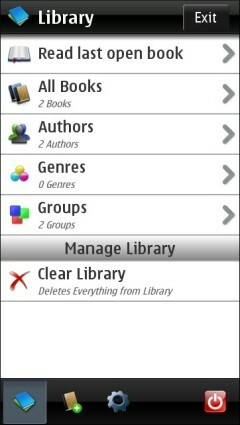 Unfortunately it’s not easy to find book reading apps for the N8 and other Symbian^3 phones like the C7 and E7. In fact I couldn’t find a single one in the Ovi Store! I next looked for MobiPocket Reader, which was my favorite reader on the N95, but it hasn’t been updated since Amazon bought the company and the final Symbian version doesn’t support the N8. Google, as usual came to the rescue, a quick search turned up three eBook apps that I liked. Here’s a quick review and screen shots for each. 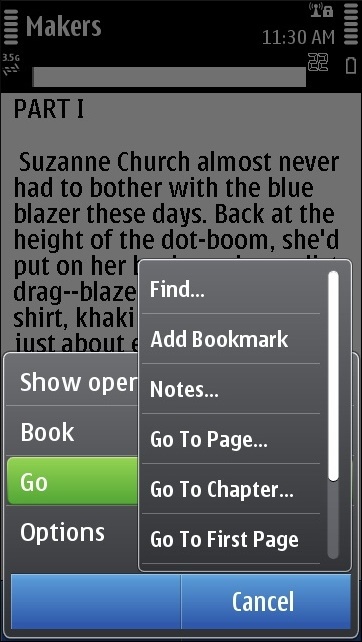 Open any book and double tap the screen to exit full screen mode. Press the on screen “Options” button and choose “Options > Text Settings… > Font”. Change the font to Nokia Sans S60 or Nokia Sans TitleSmBdS60. Press the “OK” button, then “Options“, then “OK” again to save the change. eReader is a full featured reader. You can change font sizes, line spacing, justification and margins and chose a background texture for book pages. There’s an auto scrolling option, books have a Table of Contents and you can bookmark pages, make annotations and search a book for a text string. You can choose to turn pages by swiping left and right or tapping the top and bottom of the page. I found scrolling by swiping a little laggy and unpredictable. Scrolling by tapping worked much better. eReader is really configured to only use books purchased from the B&N owned Fictionwise and eReader online stores. It doesn’t offer in-app purchasing but can download books that you have purchased on the eReader and Fictionwise websites. Books from both stores use DRM although is implemented in a little more user friendly way than most DRM schemes. You unlock a book by entering the credit card number used to purchase the book into the reader. 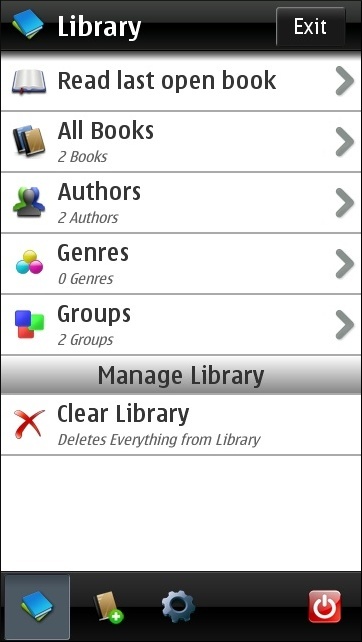 That means you can easily transfer books between devices. If you change your credit card and forget the old cards number you can even re-download the books for free using your new credit card number. You can use your own DRM-free books from other sources. eReader supports books in the eReader and PalmDoc formats. ManyBooks.net (mobile site: mnybks.net) is one source of free, out of copyright and Creative Commons licensed books in both formats. The Open Source PC app Calibre , which is available for Windows, Linux and OS X, can convert ePUB, RTF, PDF, text, HTML and many other formats into PalmDoc compatible files. To use your own files with eReader copy them into the /data/others/ folder on the “drive” (C, E or F) that you installed eReader into. On the N8, C is the Main Memory, E is the 16 GB non-removable Mass Memory and F is the SD card. 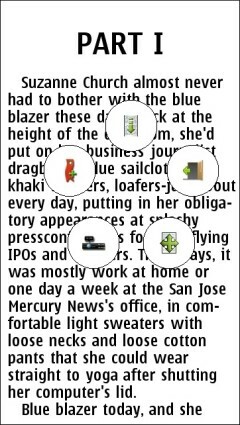 Foliant (images, above): This a Java ME reader that is optimized for touch screen devices. It’s an early beta but is already a very attractive and polished reader. It even looks more like a native app than a Java one on the N8. I also find the font that it uses the most readable and easiest on the eyes of the three readers. Foliant’s a little weak on features though. In particular, it doesn’t support text search or annotation. Foliant does let you change font sizes, justification and margins and chose a background color for book pages. There’s an auto scrolling option, books have a Table of Contents and you can bookmark pages. You can choose to turn pages by swiping left and right or tapping the top and bottom or left and right sides of the page. Foliant can open books in any folder on the phone. Foliant supports DRM-free books in FB2, text and zipped text formats. FB2 books are available from Manybooks.net and Calibre can convert most other formats to FB2. The Foliant website is in Russian but the reader is fully localized to English and will detect the device language and default to English on an English handset. If you want to browse the site and don’t read Russian, the Google translator does a very good job with Russian sites these days. 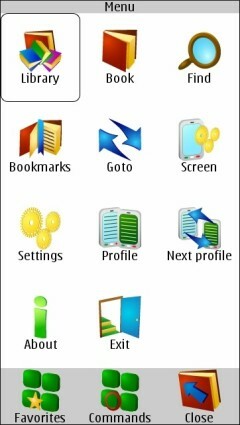 ZX Reader from ZXStyles is a native Symbian app with an impressive feature set. Fonts, margins, justification, line spacing, background colors, background images and brightness are all configurable. There’s table of contents and bookmark support but no annotations. 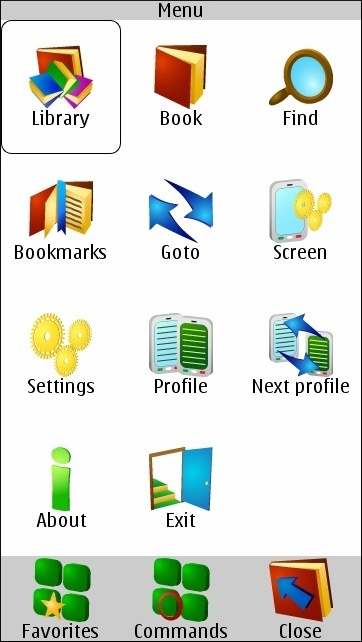 ZX Reader can open books in any folder on the phone. But the best feature of ZX Reader is that you can configure it to use the phone’s volume rocker to turn pages, which I find to be the fastest and easiest page turning method on the N8. Tap the on screen “Menu” icon, then choose “Settings > Profiles > Current profile > Control > Commands”. On the “Commands” screen, tap “Next Page” then tap “Button 1“, press the volume down key and tap “Apply”. Repeat the above steps setting the “Prev page” “Key 1” to the volume up key. ZX Reader is another Russian app with a Russian only site. The app supports English, just choose it when you are prompted during installation. All three readers are pretty good. I mainly use ZX Reader as I like the volume rocker scrolling, use text search and mostly read free public domain and Creative Commons licensed eBooks. If you want current best sellers, textbooks and other non-free books, eReader is your only choice unless you are into striping the DRM from Kindle books and then converting the format. EReader is also the only app to support annotations. Foliant has the nicest UI, fonts and icons. If it gets text search, I would seriously consider switching to it. Note: the eBook shown in the Screen shots is Cory Doctorow’s latest novel, Makers published under a Creative Commons license. Update: I originally wrote that ZX Reader supports the ePub eBook format, which would be a real plus as ePub is currently the most widely supported open standard format for eBooks. Project Gutenberg and most other free eBook publishers and download sites offer their books in ePub format, minimizing the need for conversion. However ZX Reader does not currently support ePub. At one time ZXStyles planed to add ePub support in a future release but development has ceased and V 2.0.3 is the final realease. Supported formats are FB2, RTF, text and zip files containing any of the supported formats. ManyBooks.net is a good source of free books in FB2 format. 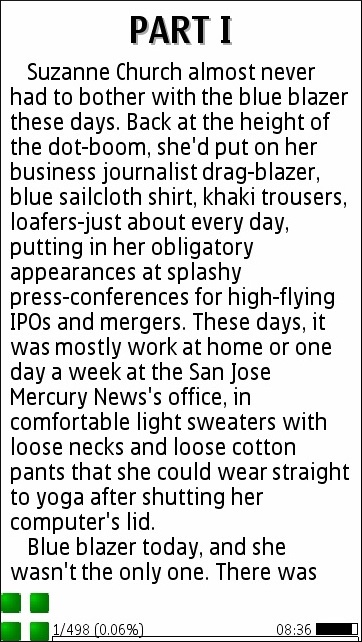 This entry was posted in eBooks and tagged eBook Readers, N8, Symbian^3 by Dennis Bournique. Bookmark the permalink. hi guys, to add to you discussion, there is a new reader, called ionic. it supports epub, can show ToC and images, has day and night regime and you can switch pages with the volume buttons. available in nokia store. the only thing i don’t like is that it takes a little bit longer when it is starting. For pdf try Altreader or PDF Eagle. Much better then the default Adobe. 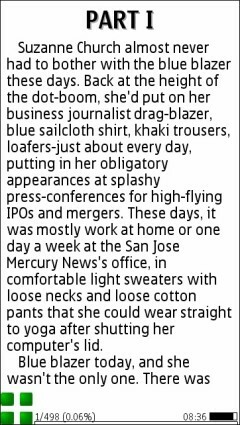 I think Altreader reads djvu too. Albite pawns them all. Very user friendly and easy to use. Plus it doesn’t kill ur eyes. 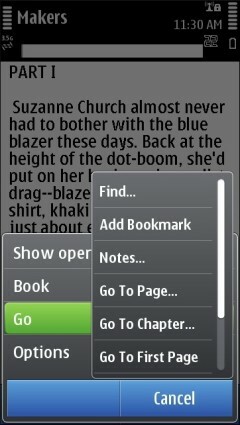 And can u recommend and good pdf format ebook reader for n8? Because it’s a mess with the default pdf reader because we have to side scroll. Fbreader reads epub, mobi and fb2. It is available now for symbian 3 in a beta version. I tried it and it works nice. ePub is the most common open standard format for eBooks. Project Gutenberg and most other free eBook sites offer ePub books. Dennis, please suggest best ebook reader which support pdf format and can read audio as well. PDF is designed to display an exact copy of a printed document which makes for lousy mobile eBooks because the text doesn’t reflow to fit the screen and is usually too small to read without side scrolling. I haven’t found any mobile Java PDF viewers. I use Albite like one guy said. The speed for turning pages can be changed. To the max, it’s really acceptable. Furthermore, to me, it’s the ‘clearest’. Fonts are really smooth and it doesn’t kill the eyes. I think it’s really worth adding to your list. But thanks for the 3 others, I’ll give it a look. Try m.bubue.com it supports epub txt and rtf.. Thanks, I tried Bubue. It works but there is something wrong with the formatting. Each line of text is split into two lines with a couple of blank lines in between. It looks bad and makes books hard to read. Albite reader as an ebook reader.it is the best for nokia n8.not available on ovi store though. use calibre desktop client for managing ebooks on pc and changing them to epub format…..
Also use horus as rss reader on n8. I tried Albite but found it really slow at turning pages on the E6. There’s no full text search either. Calibre is good, that’s what I use to convert books too. I want to read “.chm” books format on my device N8. Is there any app available for this? Not that I know of. You convert could the .chm books to .fb2 or PalmDoc using http://calibre-ebook.com/about and read them with one of the readers mentioned in the post. Thanks 4 ur reply. Can I load more than one ereader in my phone? My phone is C7. And if yes, how then do I use each of them? Also, can I transfer any of my ereader from one folder in one drive in my phone to another folder in another drive, say for instance, from drive C to drive E? Yes you can install all three on the E7 at once. I did on my N8. You can install each one to either the C: or E: drive but you can’t transfer installed apps from one drive to another. Ebooks can be moved between drives but the apps can’t once they are installed. Please, which is the best ereader for nokia c7. I want to use it to read the Bible and christian books. Also, which websites can I find good eBible, christian epubs and ebooks -free as well as for purchases. All three readers covered in the post are good and will work on an E7. I prefer ZX Reader but why not try all three and decide for your self. I have no experience with Christian eBook stores or sites so I can’t help you their. We just released a new app on Ovi Store, mBooks. It is a complete ebook reader, it supports epub import, bookmars, library search, smooth flip page effect, loading animation, magnifier glass and more. You can find the link here http://store.ovi.com/content/113558 . This is just v 1.0 we will release shortly a new one with more features. If any of you have any comments or maybe some request we will be very happy to assist you. Dorian (http://dorian.garage.maemo.org/) q2reader (cant find homepage) and Albite reader (java reader but a good one: http://albite.vlexofree.com/reader) can read epub files. Would you happen to know a good CHM reader for Nokia n8? I have tried MObiCHM but it keeps on crashing on my phone. I hope that programmers would be able to make a Symbian 3 compatible CHM reader as I do have many ebooks on that format. Hi! 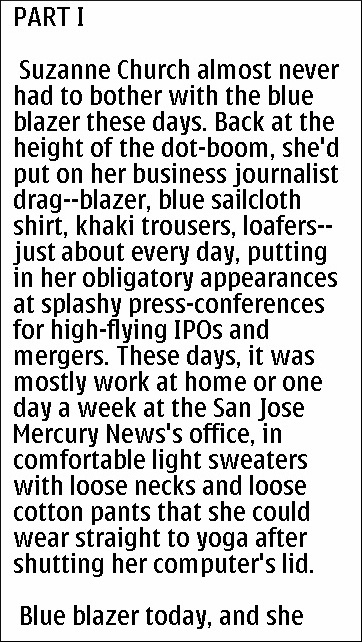 I have been using ereader on my N97. When I install it on my N8, I can read the free books that come with it. When I try to download books from my fictionwise library, i get “Network error. Please try again.” I have been in touch with ereader people, but do not get any reply. Can you help ? Hi, I tried zxreader on my n8, it works, but now i cannot exit fullscreen. I tapped around all the screen, tap, double tap, nothing… Uninstall, reinstall, the same. do you have any ideas ? By the way, any of those readers can open rtf files ? 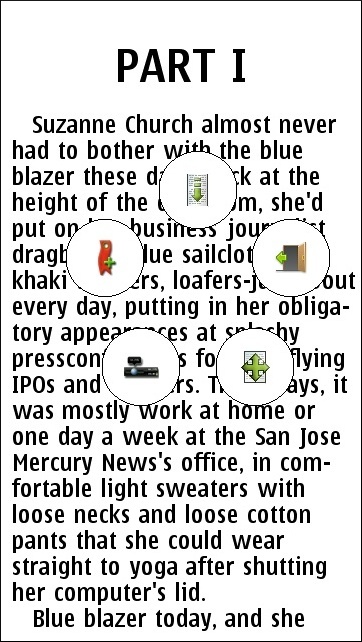 I started using zreader and must have hit a bad option on settings – think it was something to do with brightness. You should be able to restore the settings to their defaults by closing ZXReader and deleting e:\Data\ZXReader2\ Config\ ProfileN.NNNN (where N>.NNNN are some random numbers) and then restarting ZXReader. Thanks Dennis – Worked a treat! Tried the java reader too and that seemed nice but i agree with you about the Zreader being the easiest to configure. Also discovered that if you fiddle with the font settings in Zreader, you can garble up all the menu’s as well! Luckily i remembered what i had clicked and could go back to it to reverse it. Dennis, further to my earlier comment, I’ve been doing a little investigating. 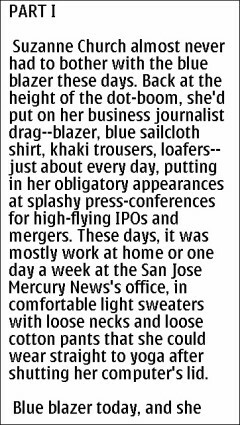 The upshot is that, since Amazon has bought mobipocket, as well as the AZW, .mobi is also a propriety format for the kindle. Because of this most free sites, like Gutenberg, if you click on the kindle download tab, will give you .mobi files. From this it follows that the above mentioned site has not dropped .mobi support but just renamed the download tab kindle and that, therefore, s60 (or symbian), does have a kindle app, namely, mobipocket.sis. The question is, is there a touch screen version of the latter that works on the N8 floating around somewhere? If so, where sorted. I would also like to put in an honorable mention for the Wattpad app, which does have partial touch screen functionality, especially if you have a sroll hard button and especially with the stand alone books, according to my testing. Hope this helps and, as a long time reader of your excellent site and your invaluable yeswap, I’d like to wish you a happy Christmas and a merry New Year, Yours, L.
As I understand it, Kindle books are basically in Mobipocket format but Amazon has changed a few bytes in the header makiing them incompatible with the MobiPocket Reader. This can be fixed with a hex editor. Supposedly Mobipocket.sis is installable on the N8 but unusable because using it requires pressing keys that aren’t present. This has got to be the most useful post I’ve read regarding ebooks and the Nokia N8. I have been searching high and low for a decent e-book reader for my N8, and have almost given up until I saw this. Many thanks, this has been extremely useful. I’m getting all 3 right now, and firing up my Calibre so I can start filling up my N8 with my ebooks. Dennis, I’ve tried ZXReader on my E63 – but I was disappointed to find it doesn’t recognize any epubs I have, of which I have plenty – are you sure it does on the N8? Btw, interesting Amazon bought Mobypocket 1st), because Gutenberg has withdrawn support for the .mobi format, which was so damned annoying, I emailed them and they said they’d get backed to me, which they haven’t and I wondered why, and, 2nd) because a lot of people have been clamouring for a kindle app for Symbian. Guess what it will turn out to be? Lewis your are right. I thought that some of the books I’d read with ZXReader were in ePub format but I was wrong, they are all FB2. So I tried to open a couple of ePubs with ZX Reader and failed. According to the ZXStyles site ePub support is planned for a future release but current supported formats are FB2, RTF, text and zip files containing any of the supported formats. Thanks for the heads up. I’ve edited the post to indicate that there is no ePub support with ZX Reader.